The weather in Vietnam is variable deeply from the North to the South but the best time to visit it is the same, starting from October to April. While it is sunny all year round in the South, for the Northern part, this period can be divided into 02 separate periods: From October to February, it is cool/cold and dry and from March to April it is hot and dry. There is no visit to Vietnam is complete without a stopover in Hanoi. This 1000 year old capital is rich in culture and traditions. Besides visiting highlight attractions such as Ho Chi Minh Mausoleum, Temple of Literature or Museum of Ethnology, you can experience a day like a local. Walking early in the morning to have a walk around Hoan Kiem Lake, watching locals do their morning routine: doing exercises like walking, running, doing tai chi, or just some old citizens play chess over a cup of green tea. Come to a small street restaurant for a smoking hot bowl of Pho (A famous specialty - You must try!). Then trying a local coffee looking over the bustling streets, seeing people on their motorbikes hurriedly rush to work. Later on, you can get into Dong Xuan market during the day and night time – During the day, it biggest and busiest market in downtown Hanoi while at night, street vendors around the market make it an interesting spot for locals and tourists to hang out. Though you cannot swim in this winter, Halong bay offers a mystique beauty in a little foggy scenary. Try to wake up early for a Tai Chi class while the sun hasn’t come out yet. You feel like the whole surroundings and the air belong to you. You can follow the crowd to discover some of the Halong bay’s majestic caves or just lie on the sundeck to enjoy the scenery. Furthermore, you can also be able to experience high energetic activities such as kayaking to the further paths or observe the daily activities of a small fishing village around the Bay. You can book Halong bay cruises to discover Halong bay right now. 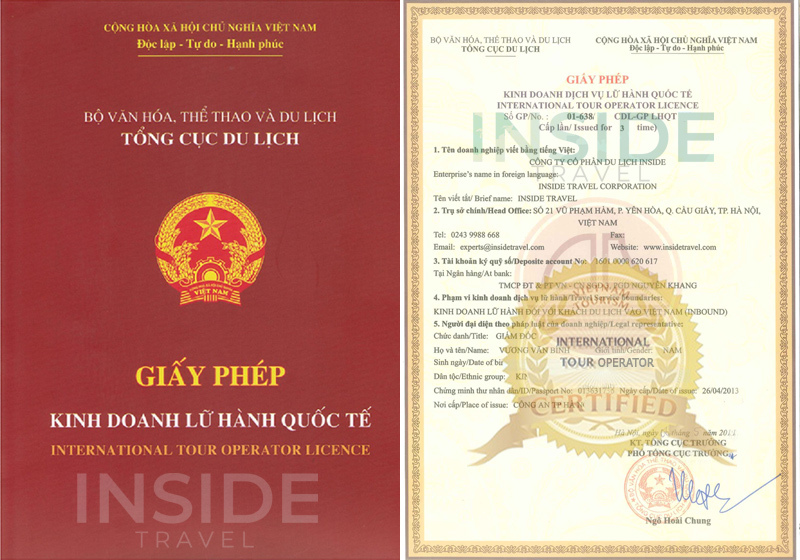 This destination is especially popular for Vietnamese domestic market during winter, especially during the time when there is snow that happens once or twice each winter. For those who want trek the off beaten paths to remote hill tribe villages or up high in the mountains, there is no better period than this. The cool and dry weather with the stable temperature makes it the perfect for your trekking and photo takings. Mail Chau is less popular than Sapa but not that it is less interesting. It is home for several ethnic minority peoples such as Thai, Muong, and Tay, so there are plenty of cultural and traditional values for you to discover. With the close proximity to Hanoi, making Mai Chau an ideal getaway for those who want to escape from the bustling Hanoi to experience the tranquility of mountainous village. You can choose to just relax in the Lac village or Pong Cong village of Thai ethnic people, bicycling around the villages or can go further into remote villages up to 2 or 3 days of trekking. It is highly recommended for you to stay homestay at least 1 night at a very simple rustic stilt house and experience the warm-hearted hospitality of the local ethnic people. During winter, the tranquil atmosphere and brilliant blossom nature in the valley will bring the most relaxed time, it definitely will charm you to stay longer.